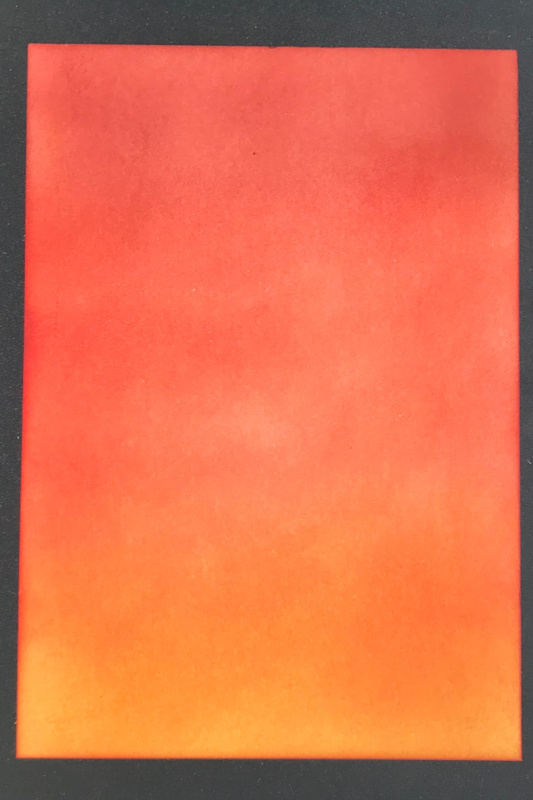 Ink blending is a great way to create a gradient effect on your paper. 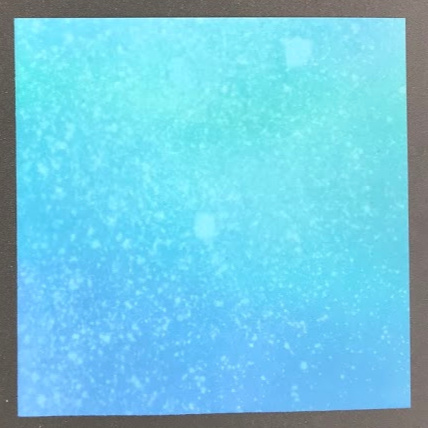 Perfect for creating card backgrounds such a night sky, sea or a landscape scene. Before choosing your inks think about the colours you are going to use and how they are going to blend together. 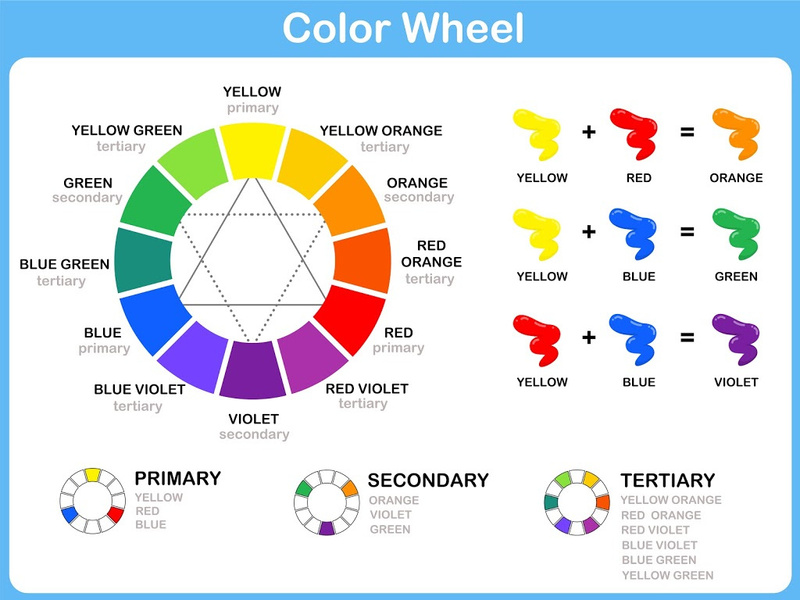 Using a Colour Wheel can help you make your choices. Blending with dye inks takes time and patience as the ink is absorbed quickly into the paper. 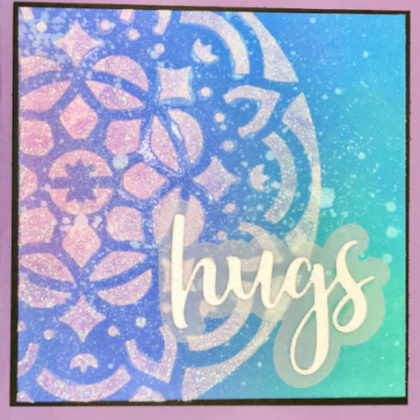 It works best with a sponge or brayer. The example below uses three complementary colours. Always start blending with the lightest colour and work towards the darkest colour. 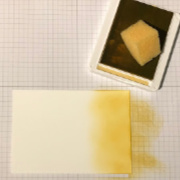 Dab the sponge onto the ink pad to collect the ink. 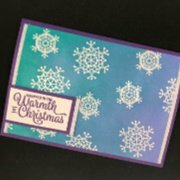 Rub in circular motion on scrap paper before moving onto the card. This will help create a more even coverage. Change colour and blend (still in a circular motion) across the lighter colour. Go back to your lighter colour to create a smooth transition between the two colours. Repeat the same process with your last and darker colour. My finish with the sponge blending was slightly patchy. 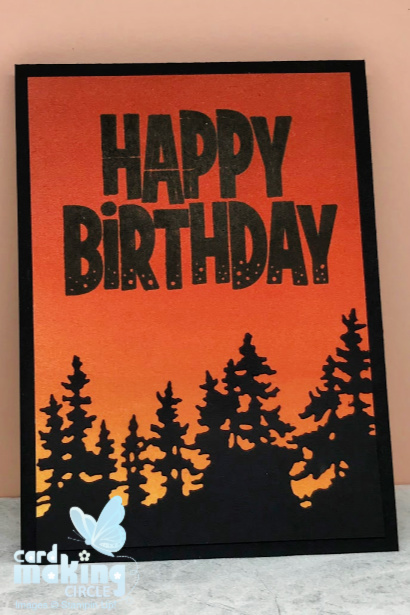 This may be the type of paper used or more likely my technique! 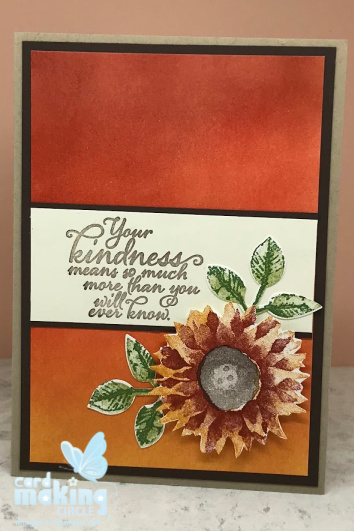 I achieved a much smoother blend of the same colours using a sponge brayer. 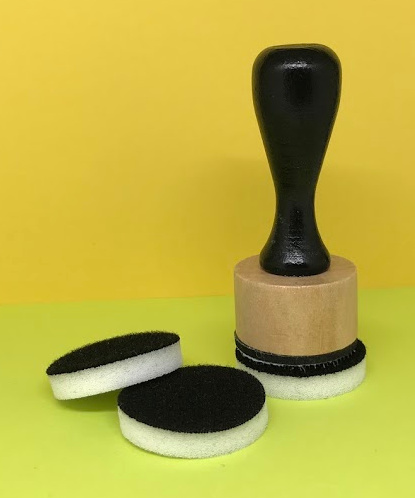 Less hand pressure is required with the brayer making it an easier option for anyone with dexterity issues. The Tsukineko Jumbo Daubers and ink sweepers have large inserts for fingers. The Tonic Studios Mini Blending Brushes have a stubby handle that is easier to grip for greater control. The Clarity Stencil Brushes are excellent quality and as they have a long handle it would be possible to add Plastazote tubing. 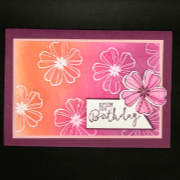 See Accessible Card Making for more details and a video on using Plastazote tubing. 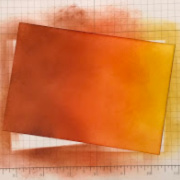 Distress inks and Distress Oxide inks are much easier to blend than dye inks. They take longer to dry giving you ample time to blend the colours. Ranger, the manufacturer of the Distress brand produce their own blending tool with interchangeable pads that are attached to the bottom of the tool with Velco tape. 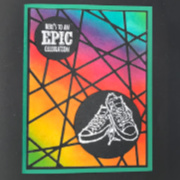 When using the tool dab the ink pad to collect the ink and then dab off a little of the ink onto scrap paper before starting to blend. 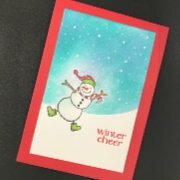 Like the sponge use a circular motion and move slowly onto the card from your scrap paper with a light pressure. 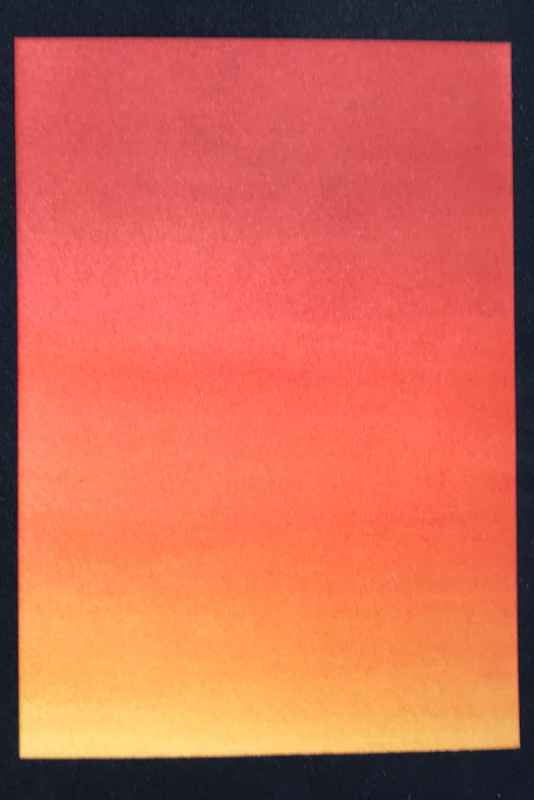 Once a layer of ink is laid on the card blending the different colours becomes easier. 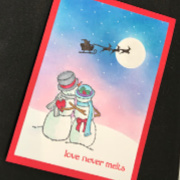 Remember to wait until the ink is fully dried before stamping or embossing your sentiment or images. Distress inks are an unique water-reactive dye & pigment ink fusion. When sprayed with water it creates an oxidized effect that makes the blending mottled. 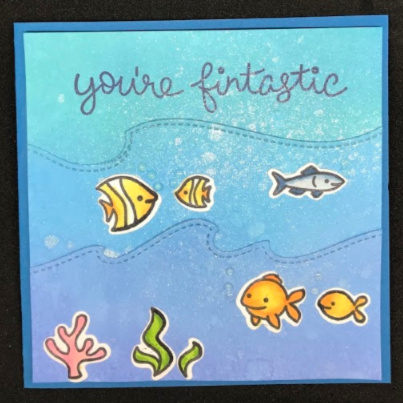 Ideal for a card with a sea/fishy theme!